What is this phenomena? What happens? Yes, the falafel on Ben Yehuda is phenomenal, and the shwarma is shwooper shwrumptious! But is that all that’s happening? We’re reuniting with our ancient genetic Mideast taste buds? There’s gotta be something more. 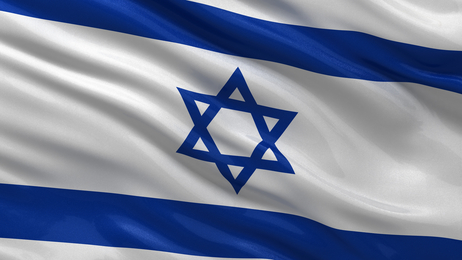 There’s something special that happens to the Jewish soul when it comes in contact with Israel… But what is it? To really answer this question, we have to go back to the first Birthright Israel trip ever. It actually took place over 3,500 years ago. There were no applications available online at the time, only a prophetic message sent via Divine Cloud (great app) to the one applicant who put his name in the Divine chinese auction to win a trip to Canaan Land. The one applicant was none other than our great great grandfather, Abraham. What did the Divine acceptance letter say? “Go away from your land, from your birthplace, and from your father’s house…” That’s a lot of places to leave! Why is that so important? There are 3 things that naturally provide a person with a sense of who they are. Family is the most basic. Whether as a result or reaction to our family, they are major players on making us who we are. The next level of influence comes from our friends, especially the people we grew up with. We’ve been through it all together, and we impact each other through our interactions. The level beyond that is the community. When we are in a foreign country and we find someone from the same country, state, or city that we’re from, there’s a feeling of association, of closeness. We may never have met before, but the fact you are also from Chicago, San Francisco, New York, Florida, or Minneapolis connects us and we share a commonality that connects us. The Director of the first Birthright trip (i.e. 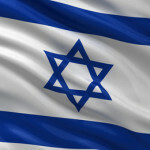 the Almighty) told Abraham to leave all 3 of these impressions before coming to Israel. Why? The answer is that he was going to discover something precious in Israel. No, not the beaches of Netanya (though they are beautiful). He was going to discover… himself. The Divine words describing “go” in the Hebrew are, “Lech lecha,” which literally translates, “Go… to you.” There’s a ‘you’ that will only be found in Israel. Until you get there, you will not fully be ‘you’. And in order to truly see and become the ‘you’ that you can be, you have to rid yourself of any preconditioned notions of who you are. Drop all those external impressions on who you are. Come to a new reality of your core as a Jew in your homeland and experience the true ‘you’. When young Jews go to Israel, they find a new self definition. When they’re open to the experience, they can find out just how beautiful and precious their heritage truly is. I know that I did. We see ourselves and our Judaism in a new light. It’s a homecoming. Especially now, let’s realize going to Israel is not just coming to our homeland but also coming to the home within of our people and core being.